Now that you have WordPress running in Azure there are a few housekeeping tasks that you may want to look at prior to switching over from your existing site. In a previous post we discussed the different types of deployment available in Azure. One thing to be aware of is that storage is managed differently with these and if you decide to scale-out then things change again. If you deploy WordPress in PaaS or a container then scaling is easy but each new web service needs to be able to access both the database and the file repository. You may have noticed that our instructions on how to deploy WordPress using hybrid containers that we also deployed a storage service. This is what we will be using to store all of those objects so that any web server can access them. Luckily WordPress has a plugin that makes this functionality easy as well. This should be one of the first plugins that you install. No point in having any data saved to the wrong place after all. Once this is added you need to configure the storage account that it will use. In order to do this you need to create a storage account key, which will be used by the plugin to access the blob storage. Log in to the Azure portal and open the storage account that you want to use. Under Blobs you need to create a new container then go to Access Keys to get one of the API keys. This information can then be put into the plugin configuration. 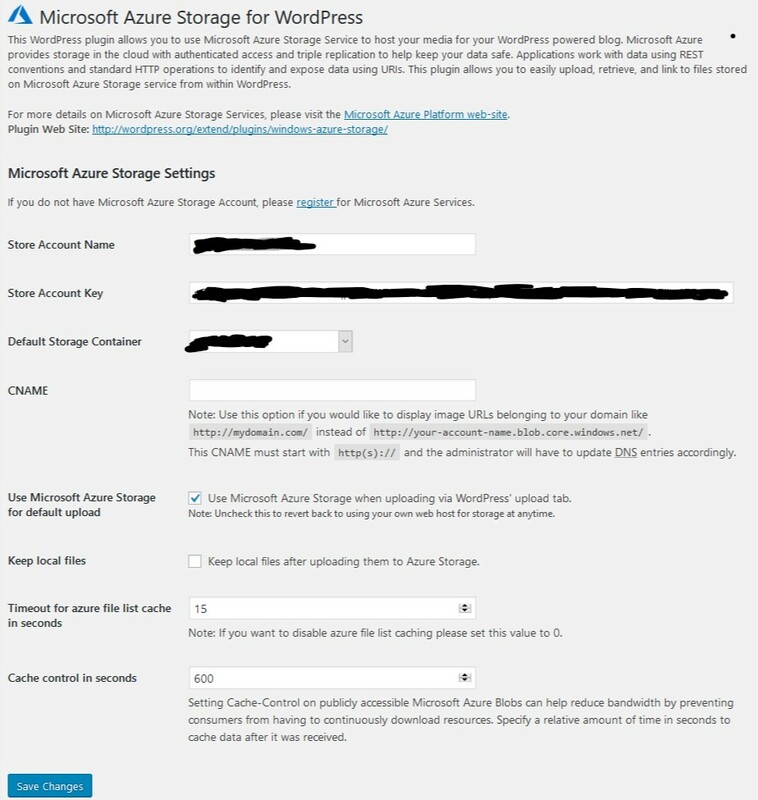 In the WordPress admin go to settings|Microsoft Azure and copy in the name of the storage account and the API key. If the authentication is successful you will then see the container that you created. Make sure that Azure Storage is then selected as the default upload source and save the settings. At this point you can restore your old site into WordPress. When you do this you will see that all of the images are automatically saved in the Azure storage account and when you go to upload a file it will automatically save to the Azure storage account. When we stood up the site it took 4 hours before some spammer noticed that they could use a bot to send spam to the contact form. Luckily email wasn’t configured so no one really got spammed but still it was a lesson that we are running our own WordPress site and need to do some things ourselves now. So first up let’s make it harder to spam the contact form. I settled on installing the Contact Form 7 plugin. This has an integration with reCAPTCHA which is a free google service. You will need to sign up for an account at https://google.com/recaptcha whic will give you a site key and secret key. Put these into the Integration page for the contact plugin and then create a new contact form. We simply added the recaptcha to the bottom of the form. 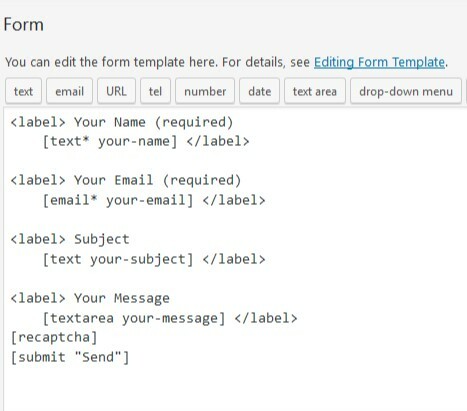 Once you’re happy with the form you can copy the short code for the form directly onto your page. Have a play with it and make sure that it’s working before you fix the email integration. For this we used the WP Mail SMTP plugin. This allows a way to modify the SMTP settings for WordPress. Now WordPress is not an SMTP server so you need to have some external SMTP service that you can use. This plugin supports Google, Mailgun and Sendgrid, but you can also manually specify SMTP server settings. Since we have an Office 365 account we use that. For Office 365 the SMTP host will be your tenant name, which may be different from your domain name with .mail.protection.outlook.com at the end. For some reason the TLS option wasn’t working with Office 365 so we used SMTP on port 25 but enabled the Auto TLS option. If you want to relay mail outside the organisation then it would be a good idea to set up an account in Office 365 and use authentication. If you don’t want to do this then remember that you will need to set up a receive connector in Exchange Online to authorise the web server to relay based on it’s IP address. If you just want to receive alerts yourself then no changes are required. You really need to use HTTPS for your new site. The default site already has a valid SSL certificate but if you want to use a custom name this will require additional work. First you need to set up the custom domain name by going to the app service and opening the custom domain properties. The process for adding a custom name differs depending on whether the site is live or not. If it isn’t then you create a new CNAME pointing to the default Azure name. This is the sitename.azurewebsites.net that was assigned when you first created the site. If the site is already live then you don’t really want to redirect it to the new Azure site just to add the custom domain. You may still have more work to do before you’re ready to go live after all. To cater for this you need to create a txt record in your DNS which has the name awverify with the data containing your sitename.azurewebsites.net. If you want to have a host name for the site (eg www.sitename.com) then you will also need to create a record for this. (eg awverify.www) with the data referring to the Azure site. Once this is done you can upload a public certificate and bind it to the custom domain. If you went down the Windows PaaS route then you can use a Let’s Encrypt extension which will manage acquiring and renewing Let’s Encrypt certificates. This will result in a free cert associated with your custom domain. If you went down the container route then this is a little more difficult. There are solution out there which involves deploying multiple containers. The first container has a nginx reverse proxy which publishes the second container running WordPress. The nginx reverse proxy also has has the Let’s encrypt integration. In the end we went a different way. We use Cloudflare to publish our site. This already has SSL but things get a little funky with WordPress. If we configure the custom domain on CloudFlare but don’t use this name in WordPress then pages will break. If we set both to the same name and require SSL, well don’t do that. WordPress will stop responding. We added another plugin called CloudFlare Flexible SSL. This makes sure that all pages will display correctly to the end user. You then use CloudFlare to control the HTTPS configuration. You can then disable HTTP access from within CloudFlare if this is the route you want to go down. Oh crap I changed the WordPress settings and now I can’t access my site!!!! Yeah we’ve been there. Fortunately there is an easy way to fix this. You will need to change the setting on the database to get things back again. You can do this using the Azure cloud shell. Log on to it using the built in mysql command. Then convert the site details back to using HTTP. Reconnect to your site and breath. In the last post we looked at the different architectures that can be used to deploy WordPress in Azure. We decided to deploy our site using a hybrid container environment. This has the web service running in a docker container but the database running as a separate resource. This makes the web service a simple component which can be easily replaced if problems are experienced or scaled in response to load changes. 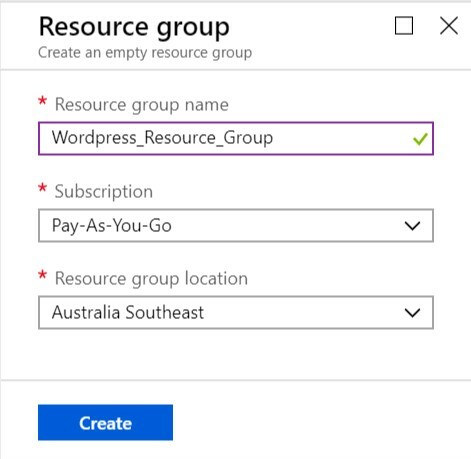 If you haven’t already deployed any Azure services then you will need to start by deploying a resource group. This will group the WordPress resources together. 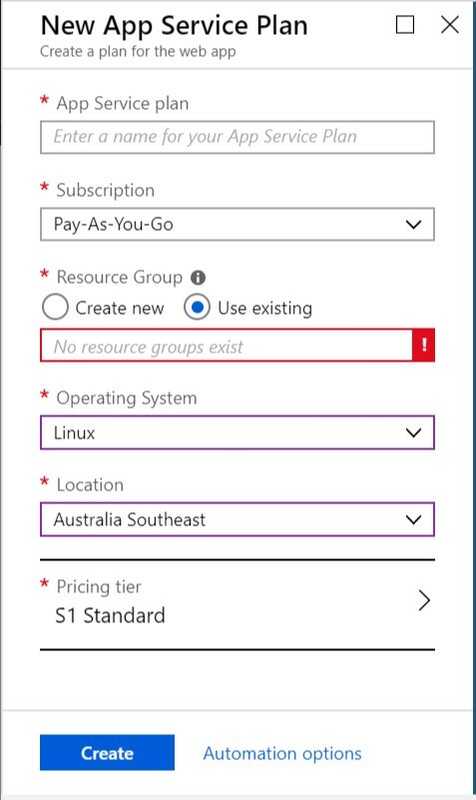 Give this a name select the subscription you will be using to pay for the service and select the Azure region that you want to use. Next deploy a Azure Database for MySQL Server. This will be used to host the WordPress database and will allow us to deploy additional web services connected to the same database. You’ll need to define some basic settings as part of this deployment and you will need to record some of the details for later. The server name needs to unique across Azure and will ultimately end up with a fully qualified domain name of servername. .mysql.database.azure.com. The server admin name and password should be something complex and will be used to remotely access the database. Finally you may want to modify the pricing plan which is designed for significant production systems. Once the database server has successfully deployed you need to create the WordPress database to the MySQL server. If you already have the MySQL tools installed you can use these to connect to the server. 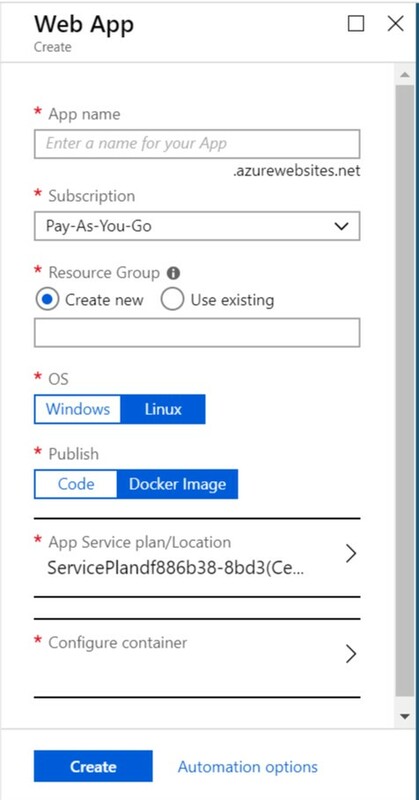 Otherwise you can connect using the cloud shell directly from the Azure portal. This is the command prompt in the toolbar. 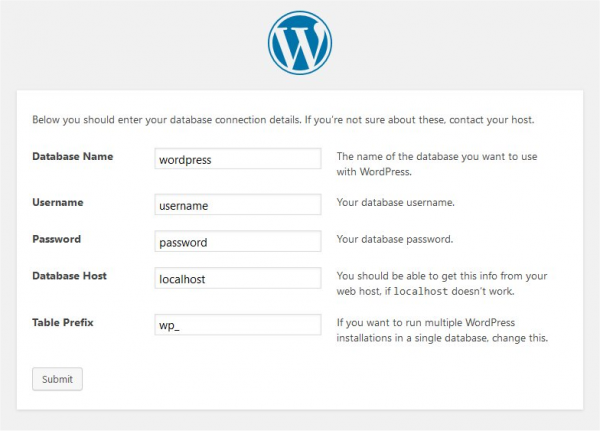 Then run the following script to create a wordpress user account in the database and create a new database. WordPress doesn’t support connecting to a MySQL database using SSL connections out of the box. There are ways to patch this behaviour by updating the code but otherwise you will need to change the connection settings of the MySQL Server. You will also want to allow Azure resources to communicate with the server. There are two parts to the web service. The billing component is called the App Service Plan. We’re going to be using docker containers for the web service using a Linux App Service Plan. Give the Service Plan a name, assign it to your resource group and subscription. Then make sure that it’s a Linux service plan in the same location as your database. Finally make sure that you’re happy with the billing for the site. Now you can create the Web Application and associate it with the new service plan. Again make sure that you set the OS to linux and then select configure container. Change to the docker tab and then enter wordpress:latest. This is the public wordpress repository and will mean that you get the latest wordpress setup whenever you update the container. 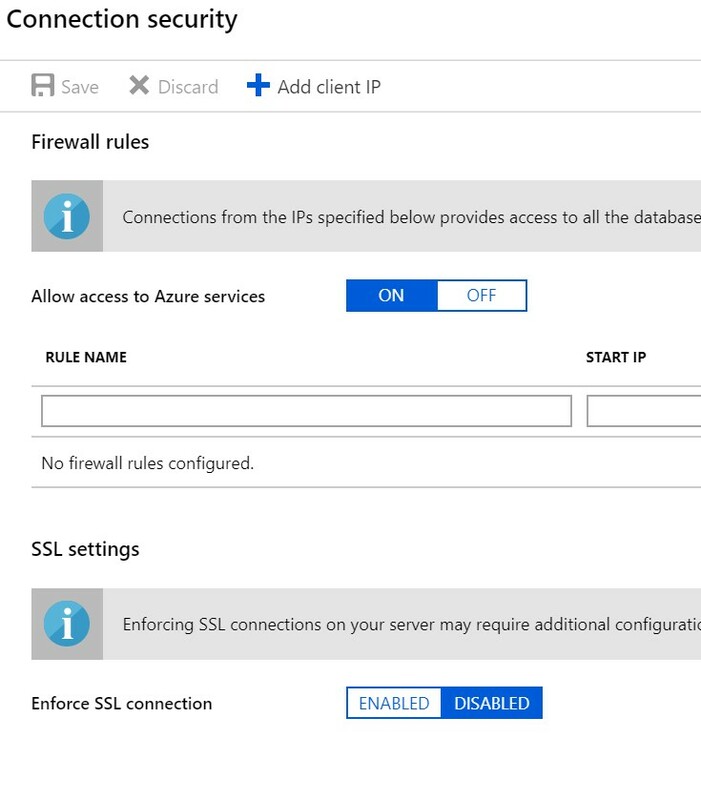 Once the web service deploys and starts you will be able to access the web service using the servicename.azurewebsites.net address. 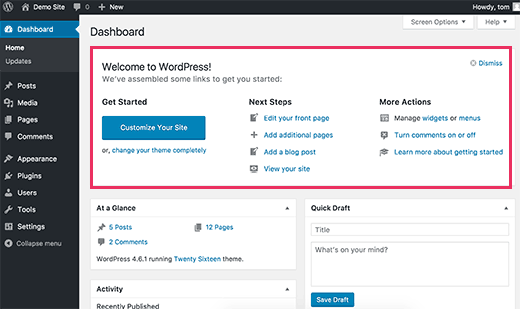 This will show the WordPress quickstart page. 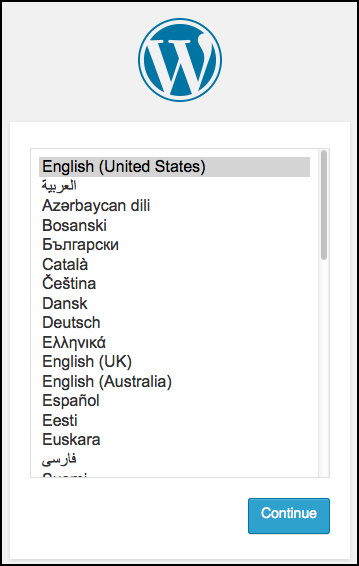 Select the correct language before proceeding to the database setup page. Next fill in the connection settings for your MySQL server. you need to make sure that you use the full names in this section so the username needs to be [email protected] and the database host needs to be yourmysqlserver.mysql.database.azure.com. if you don’t use this syntax then you will end up with a connection error. All going well you should now see the WordPress welcome page. There’s still more to do before you have everything ready to go into production but with just a few steps you’ve got a serverless web server. this is what makes public cloud so powerful. Deploy WordPress using a VM in IaaS. This could be done using either one or several Windows or Linux VM. Using this model you need to think about whether you want to scale up or out and design this capability. You’re also running a full blown operating system so you are paying to run this as well as having to maintain it yourself. Next you could deploy everything into a container This would result in both the database and the web site running inside a container. This will have the smallest footprint but scaling the solution will be a little harder as the database is contained inside the docker container as well. You could also use the PaaS Web App service to run WordPress. This again can be either a Windows or Linux web service. In this case you will also need to deploy a database service which does allow for the web service to be scaled out if required. Finally you can also use containers but with an external database. 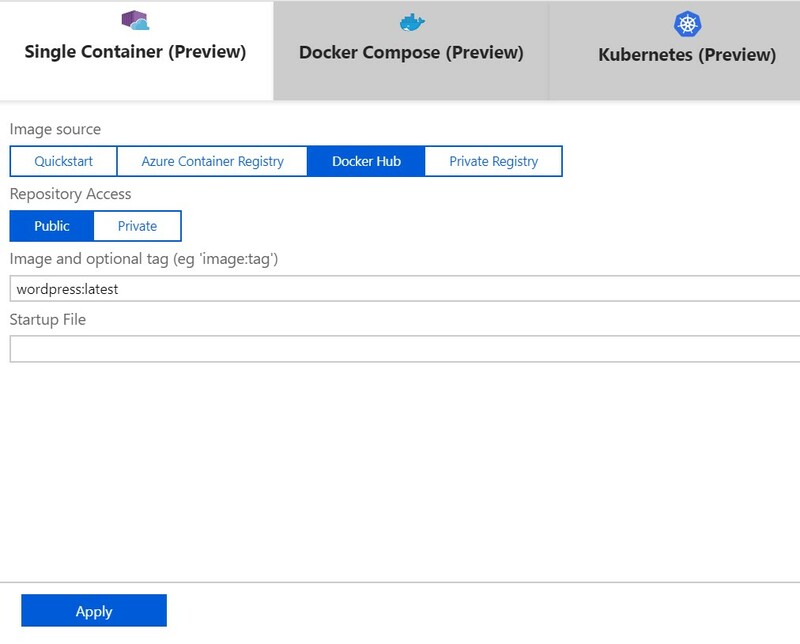 This will use a docker image for the web service which connects to a dedicated database service. This solution actually runs on the Linux PaaS Web App so the difference between the two is how you stand up your solution. Is it pulled in from a docker image repository or do you push the web code using git into the web service? In the end we decided on a WordPress docker image connecting to a Azure Database for mySQL server. This allowed for a shockingly quick deployment while still allowing some flexibility and the ability to expand. In the next article we’ll go through the process of how we set up this site. There’s so much happening in the cloud space at the moment that I thought it would be good for my own reference as much as anyone else’s to produce a summary of some of the big changes that have happened this week. This week has been particularly busy with the Microsoft Build Conference. The first resource that I found wasn’t new this week but will be quite useful. There’s so many different types of compute services but choosing the wrong one can be catastrophic when migrating on-premises resources to the Azure cloud. This and additional information is located at https://docs.microsoft.com/en-us/azure/architecture/guide/technology-choices/compute-decision-tree. Next up is a look at the DEVTest Lab function in Azure. If you haven’t heard of this it’s a great way to spin up a new environment to do some testing without having that old hardware around or having to bother with building all the boring stuff. With this you can deploy templates with multiple machines which can include different components. This allows you to do things like deploy an SCCM environment , even though these include multiple servers and services. Deploy multiple VMs with domain controllers (including standing up a new forest) SQL services and the SCCM services all using a automated process. Then you can minimise costs by automating the shutdown of the environment so that an idle DEV machine isn’t costing money for idling. Here in NZ we will be holding our breaths for a while longer before PSTN services are available in Office 365 but things are looking a little easier with the introduction in preview of Direct Routing. This is only available in teams *sigh* but will allow a on-premises telephony gateway to directly integrate with Teams. No more Skype for Business on-premises environment or multi-VM cloud connector. Just install a supported physical or even virtual telephony gateway and away you go. Let’s just hope that Teams can improve to the point that we will all accept them taking Skype for Business off us in the future. Microsoft now loves Linux. Really loves it. Loves it so much that they have now released a Linux distro in the form of Azure Sphere. This is a new IoT operating system which Microsoft will support for 10 years, While it has built-in integration with Azure there appears nothing to stop it from connecting to another cloud service or even a on-premises environment. Next up is a boring old Linux VM running in Azure. Fairly boring now but now you can integrate it with Azure AD as the Identity Provider. This will enable you to log on to a Linux machine in Azure using on-premises credentials. Just because there are not enough ways to use the words Azure Active and Directory in a product name there is now also Azure Active Directory Domain Services. This isn’t a really new service but I have to admit I totally missed it and must have thought it was just one of the other Azure Active Directory services. This time though it’s a full on Active Directory service without the VM. This Azure service uses the Azure AD directory service to stand up a full Active Directory service in Azure complete with the features that Azure AD doesn’t include such as Group Policy, Organisational Units and NTLM/Kerberos Authentication. To be clear this is still NOT your on-premises domain but another domain with the same users, passwords and groups. Details can be found here. https://azure.microsoft.com/en-us/services/active-directory-ds/. This is just a taster of some of the changes that have been introduced recently. Microsoft announced at Build that they had introduced 170 different new functions in Azure in the last year. Keeping up with these changes is going to get very difficult without even including AWS.